Broccoli, inflammation, IBD, oh my! Each of those factors may be a contributor to low thyroid function, commonly known as hypothyroidism. Hypothyroidism is a condition that causes the thyroid gland to produce an insufficient amount of thyroid hormones. This deficiency consequently leads to issues such as obesity, goiter, and joint and cardiovascular issues, as well as infertility. Approximately 5 out of every 100 individuals are affected by hypothyroidism, and the disease overwhelmingly impacts women. Alongside the issues already addressed, hypothyroidism can also lead to symptoms of fatigue, bloating, constipation, thinning brittle hair, and depression. Not every case is the same, and the severity of the symptoms vary based on the individuals, it’s not unusual for the symptoms to go unnoticed for several years! You may be wondering how hypothyroidism originates. There are several causes. Thyroiditis is an inflammation of the thyroid gland as a result of autoimmune disorders or viruses. This inflammation causes continuous leaking of thyroid hormones into the bloodstream which will cause your thyroid hormones to rollercoaster. Due to the body’s innate regulatory systems, the high levels of circulating thyroid hormones negatively feedback onto the hypothalamus and pituitary gland which reduce hormone output from the thyroid. This reduction of thyroid hormone output will eventually lead to hypothyroidism. Thyroiditis can occur abruptly or develop over many years; the most common form is Hashimoto’s thyroiditis. Our immune system is so sharp and wary that in some cases it easily mistakes our own healthy cells as foreign intruders, and proceeds to attack them as such. This self-sabotage manifests itself on a larger scale as an autoimmune disease, resulting in the destruction of healthy cells and tissues. Occasionally, the immune system can mistake the thyroid gland’s cells and enzymes as invaders and attack them as such. The result? Little to no healthy cells and enzymes left to make a sufficient amount of thyroid hormone. Certain medications that treat cardiovascular issues, cancers, and bipolar disorders interfere with the thyroid’s ability to produce its hormones. These medications include Amiodarone, Interferon Alpha, Lithium, and Interleukin-2. The pituitary gland is the instructional headquarters for the thyroid. It tells the thyroid when to produce hormones and when to restrict hormone production. Damage to the pituitary caused by tumors, surgery, or radiation could negatively impact the thyroid’s ability to generate sufficient amounts of hormones. Without iodine, the thyroid is unable to produce and release its hormones. It’s essential to have a balanced diet that includes iodine-rich foods; however, in some cases, iodine intake is not enough to prevent the onset of hypothyroidism. Foods with goitrogenic compounds, such as raw cruciferous vegetables, block the thyroid’s ability to use iodine, thus leading to a lack of thyroid hormones. There is a direct correlation between individuals with celiac disease, irritable bowel disease, and leaky gut syndrome and developing hypothyroidism. Patients with gastrointestinal conditions are 4 times more likely to develop hypothyroidism than individuals in the general population. Many gastrointestinal disorders cause ruptures in the thin layer of cells that separates the intestinal lumen, the interior of the intestines that food and material pass through, from the immune cells in its basement membrane. A breach of this delicate layer leads to exposure of pathogens to the highly reactive immune cells in the membrane, causing autoimmunity. The autoimmune attack results in thyroiditis. This inflammation occurs because the gut microbia communicates and transmits signals along the hypothalamic-pituitary-adrenal axis. A disruption along the GI tract alerts the hypothalamus that there is a homeostatic imbalance, which results in increased signals to the anterior pituitary, and subsequently, the thyroid requesting it to either reduce or increase hormonal output. As we’ve discovered, there are many factors and causations leading to hypothyroidism. So how is it properly diagnosed? It usually starts with a visit to your doctor. Your doctor will perform a typical physical exam and check your thyroid for swelling, as well as any delayed reflexes, low heart rate, and dry patches of skin. During the physical, you will also divulge all of your family's medical history as well as your own. There is a higher incidence rate of hypothyroidism within families and past issues with the thyroid. This test measures the amount of circulating TSH compared to circulating T4 levels. If there are low levels of T4 and high levels of TSH, then hypothyroidism is likely. The majority of T4 usually travels in the blood bound to a protein called thyroxine-binding globulin, while 1-2% of T4 is unbound and able to enter cells. The free, unbound T4 and T4 index are important to understanding how much bioavailable T4 is circulating in the blood. Other factors that your doctor will consider during the diagnostic evaluation are age, smoking status, and ethnicity. It is up to your doctor to determine whether or not you have hypothyroidism based on the blood tests and medical history. If hypothyroidism is suspected, your doctor will prescribe therapeutic treatments. A typical treatment that your MD may prescribe is Levothyroxine Monotherapy; however, patients taking this medication complain that it does not restore their optimal health and comes along with various side effects. The issues that arise from your MD’s diagnosis and prescription, or lack thereof, can lead to oversight of your condition. This test measures the thyroid hormones binding behaviors compared to other regulatory hormones in the body. This test assesses the bioactive hormonal levels of T3. Just like free T4, free T3 is the active form of the thyroid hormone. This test yields an accurate depiction of how your thyroid is performing. In addition to converting to T3, T4 can also convert to reverse T3 which is biologically useless and excreted from the body. High levels of RT3 indicate the inefficient conversion of T4 to T3 and can be metabolically toxic to the body. Here at Acufunkture, our Traditional Chinese Medicine and functional medicine approach aims to help patients address the root cause of hypothyroidism. It is normal, in some cases, to request additional tests that involve immune markers and different hormones to get a clear representation of your health. Once the tests have been processed, you will receive a comprehensive diagnosis as well as a customized treatment plan tailored to your body’s needs. Our top priority is to address the root cause of your health challenges. 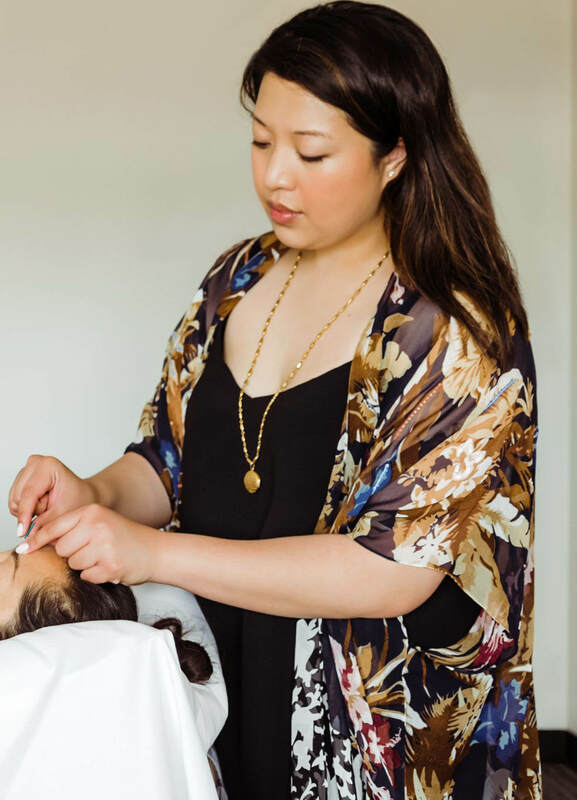 By focusing on the foundation of your imbalance, as well as providing alternative care to ease your symptoms and support the healing process, we will steadily bring your body into balance. Our integrative approach in treating disorders allows you to maintain healthy well-being with minimum side effects. The main goal of our therapies is to let your body heal with its natural abilities and the support of our customized intervention.